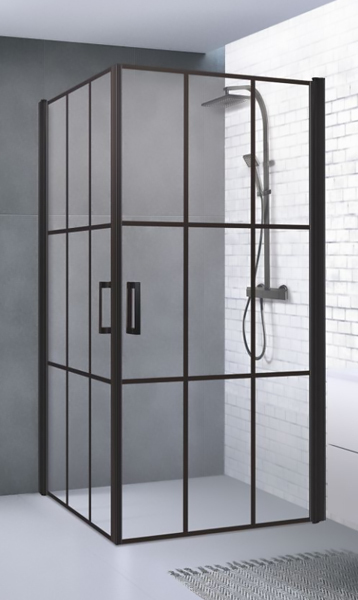 New collection of shower enclosures “Industrial Style” serves as a protest against the culture of excessive consumption. 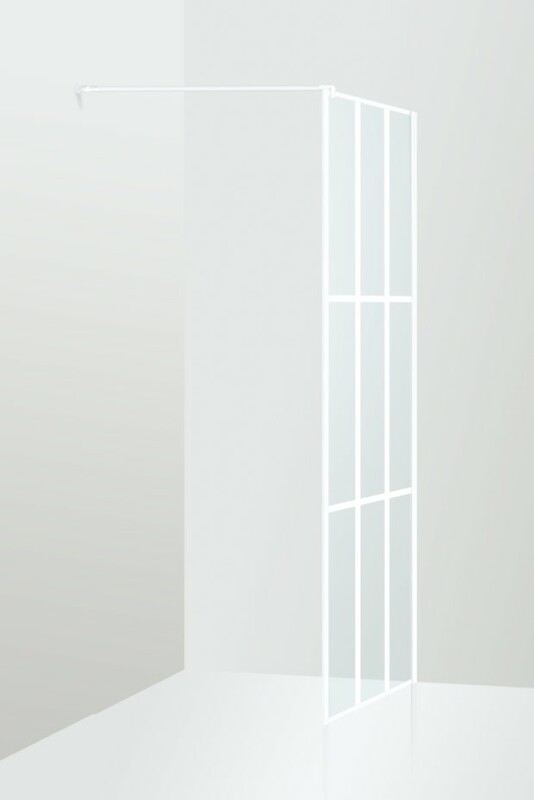 We value what is REAL. 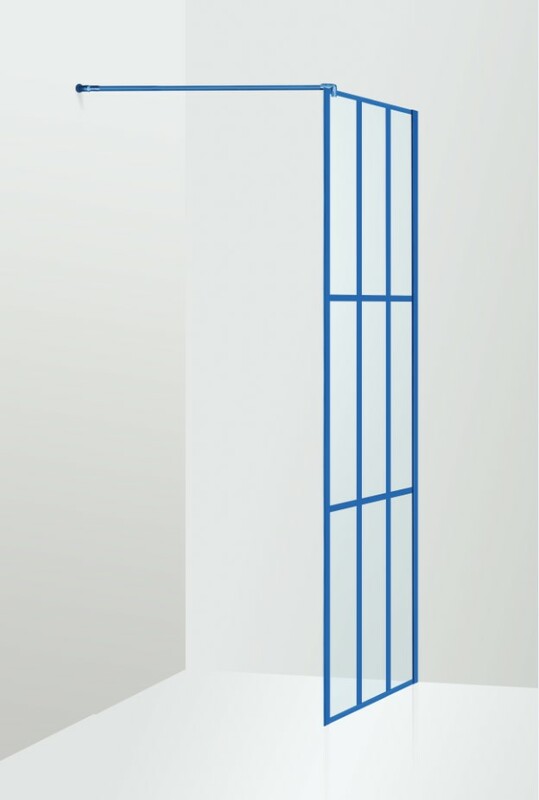 The solutions of mechanics and engineering triumph. 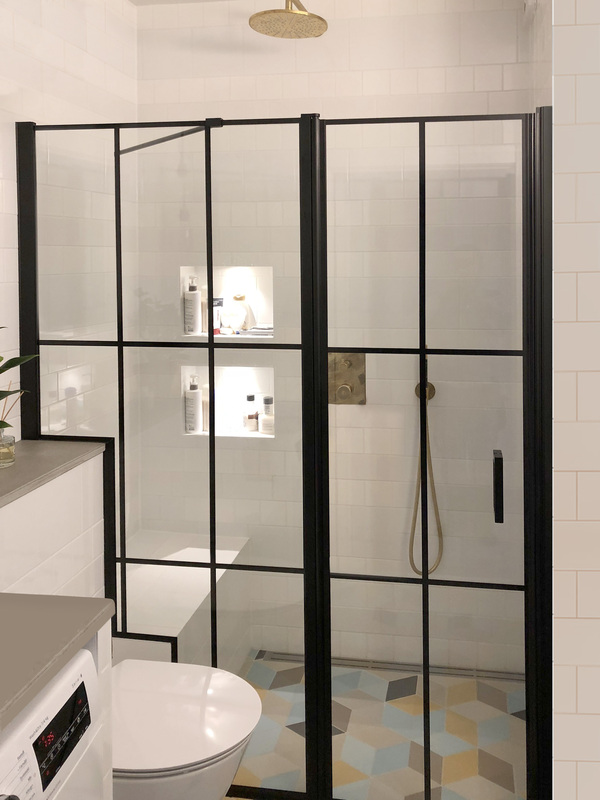 We return to the origins of the 19th c. Industrial Revolution, when perfect functionality was the objective of manufacturing; when metal and time-proven material – glass – were started to be used. 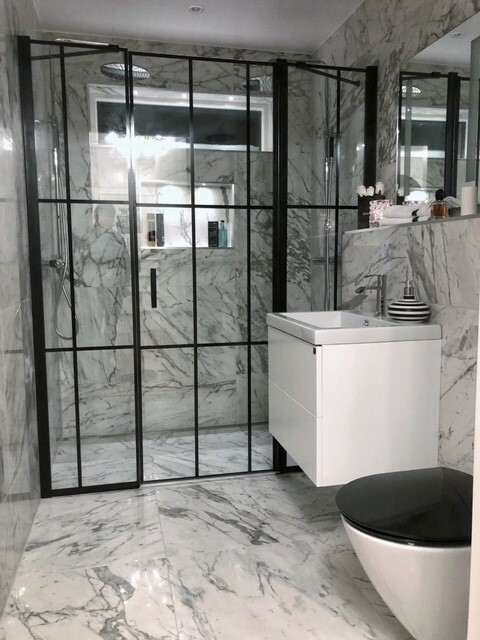 The quality of things is exalted: the qualitative materials are selected carefully for the products, the best solutions are considered, and simplicity and durability are seen as a goal. 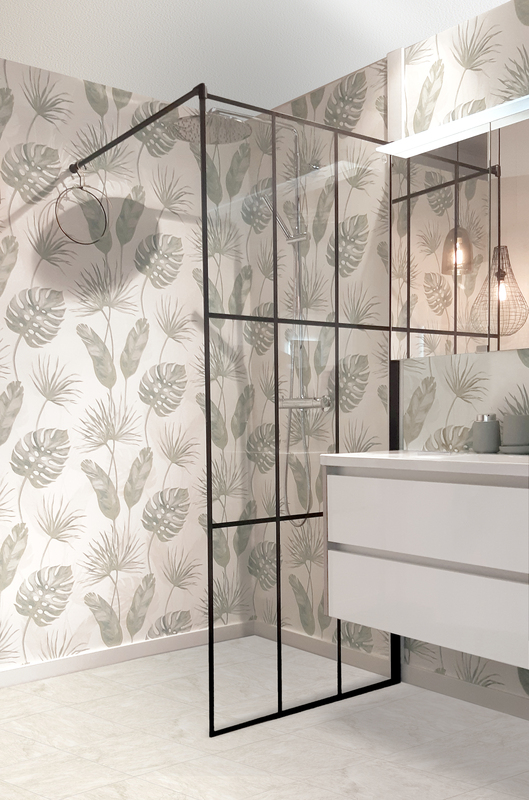 “Baltijos brasta” presents its masterpiece for a bathroom to those, who appreciate this. 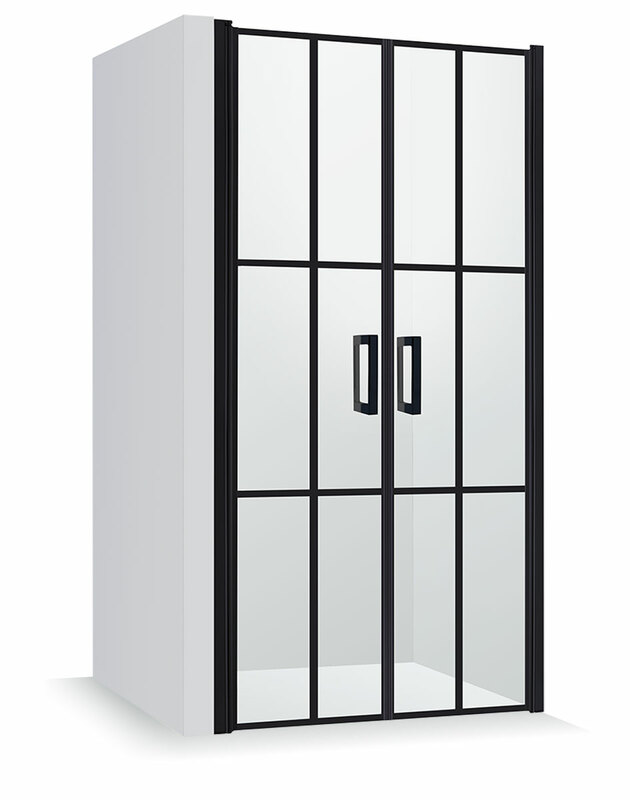 We applied the system of the collection ACROBAT in order to implement the vision of this product. 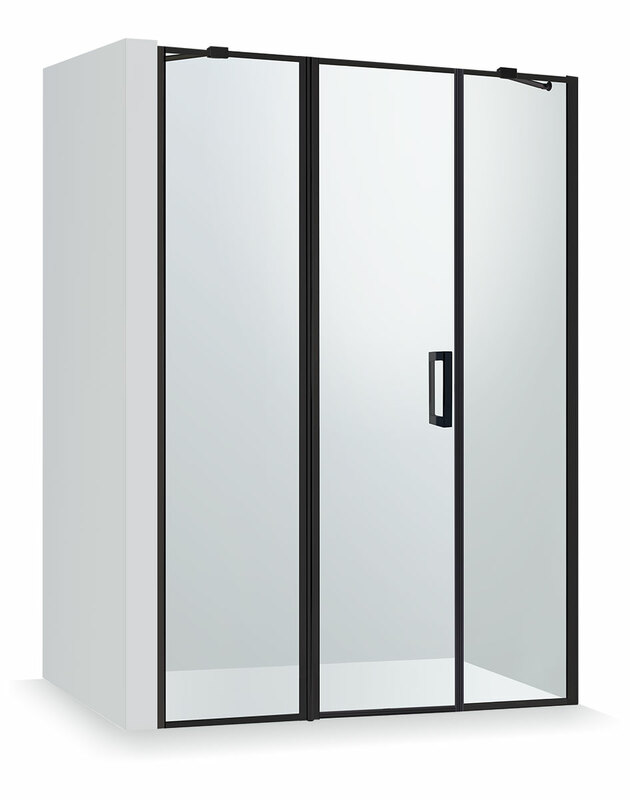 These are technically well-considered products providing a possibility to fold the doors inwards and outwards and to regulate the angle of closed door. 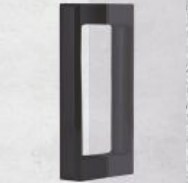 The door raises while opening and gets attached to the bathroom’s floor when closed. 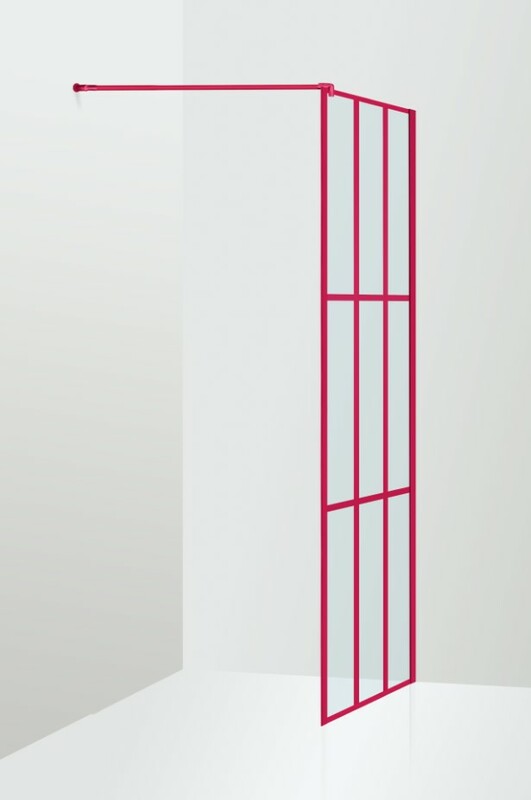 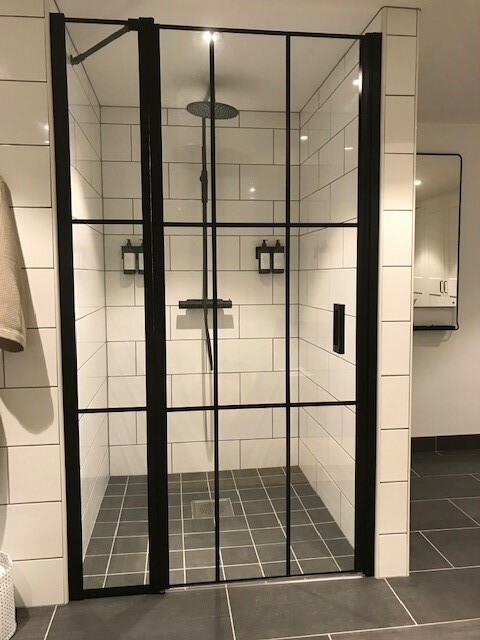 The metal construction present by the wall allows fastening the doors and panels easily and reliably and to adjust them to unevenness of walls and floors. 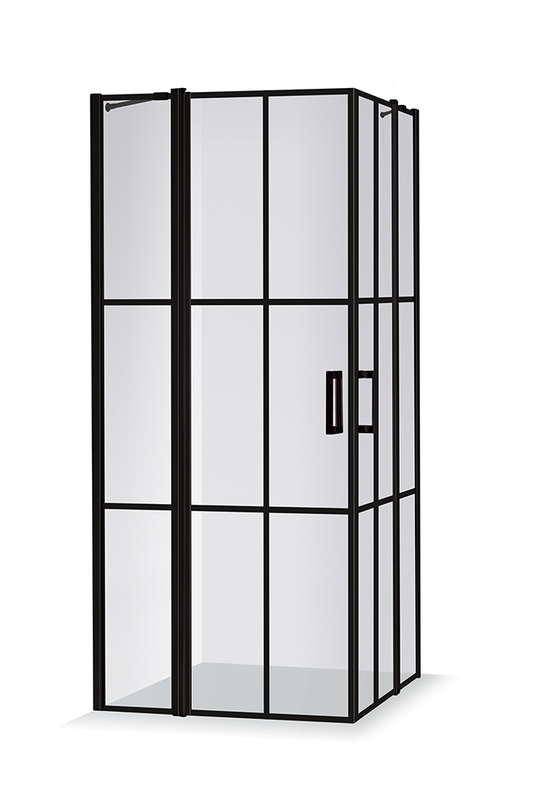 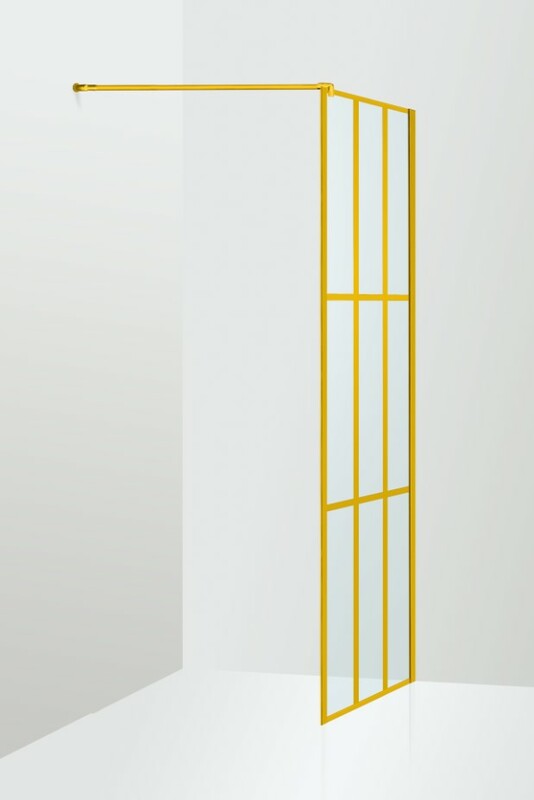 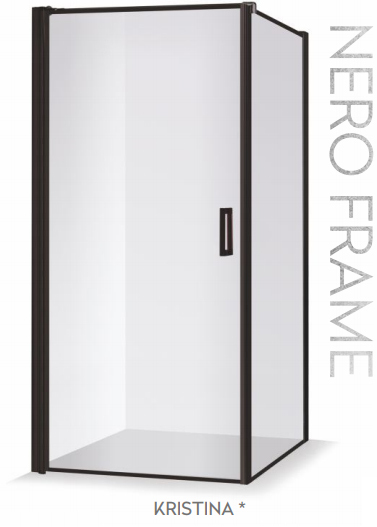 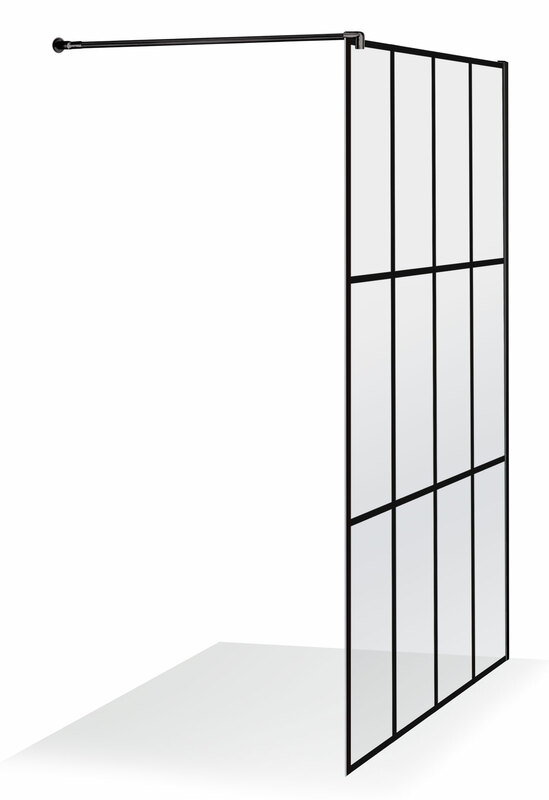 The frameless door grants lightness and elegance to the product. 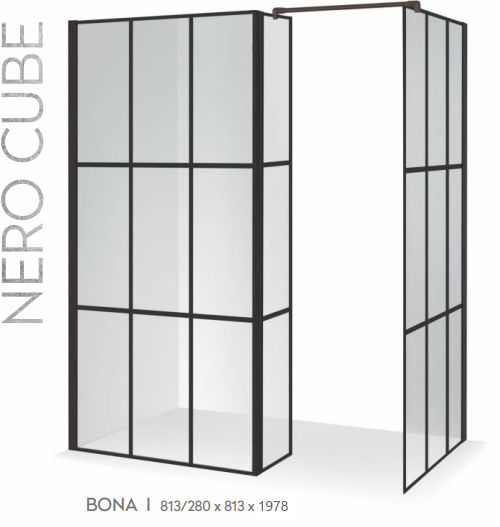 *NERO CUBE In the products, the first window strip closest to the hinges may be wider or narrower - thus obtaining the desired dimensions of the product. 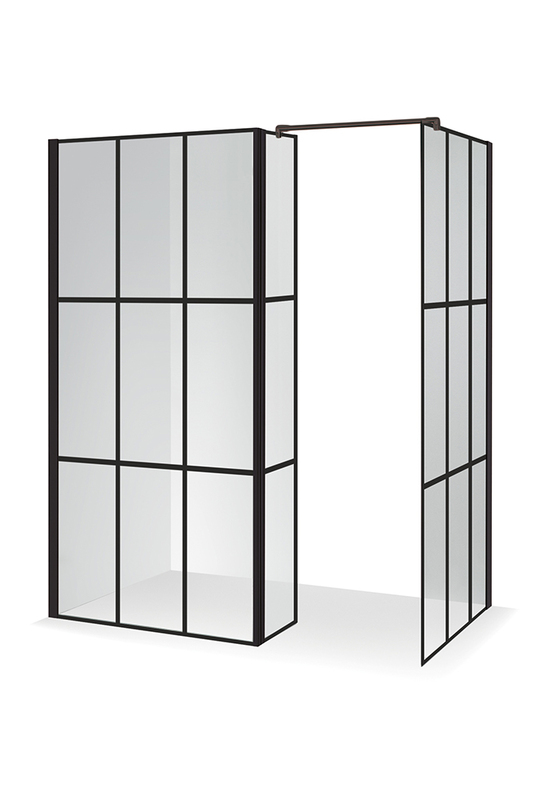 There may be 3 or 4 window bands vertically. 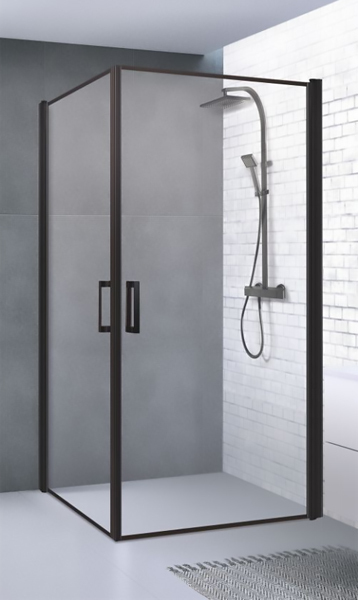 The metal constructions are perfectly even and covered by black colour that protects them from environmental impact. 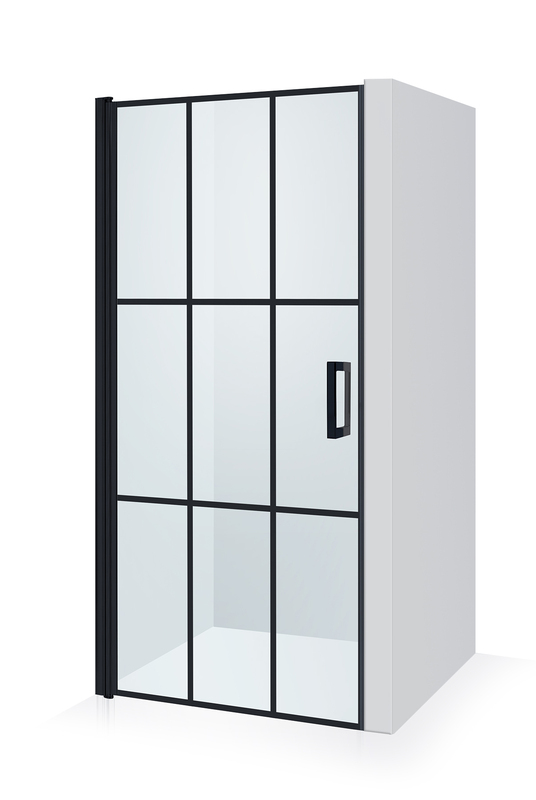 We made the magnetic sealants in black, as well, so that they would match the metal frame and other design elements. 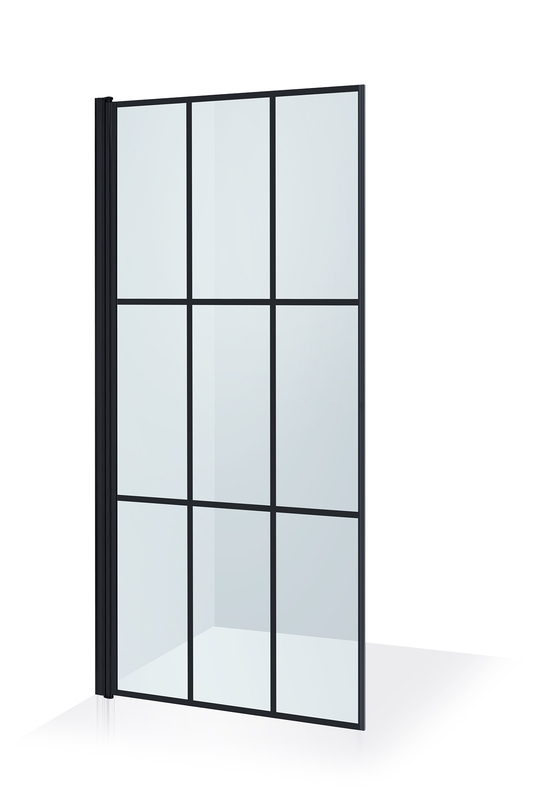 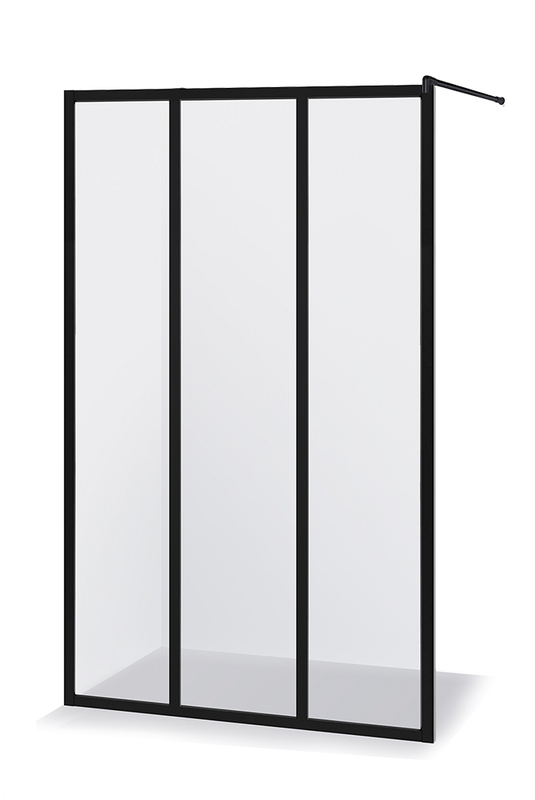 The focus is given to black lines surrounding the glass perimeter and/or dividing it into rectangles. 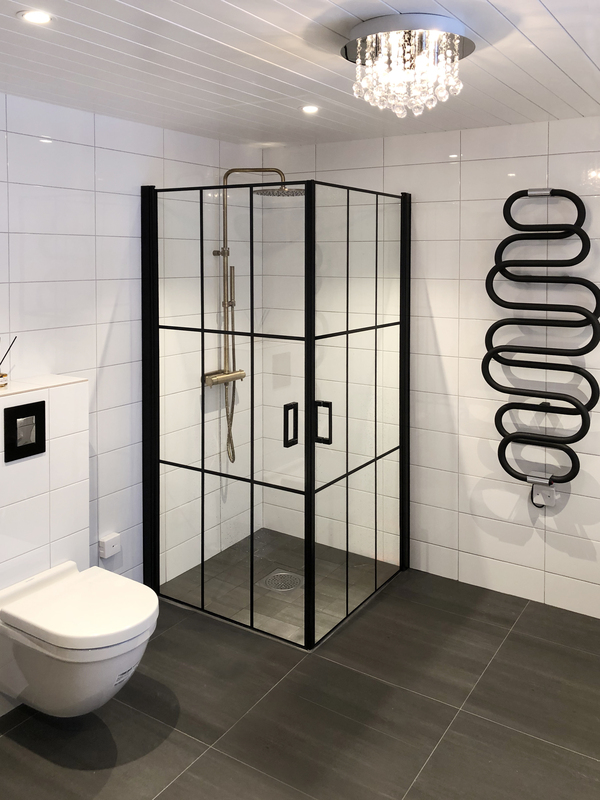 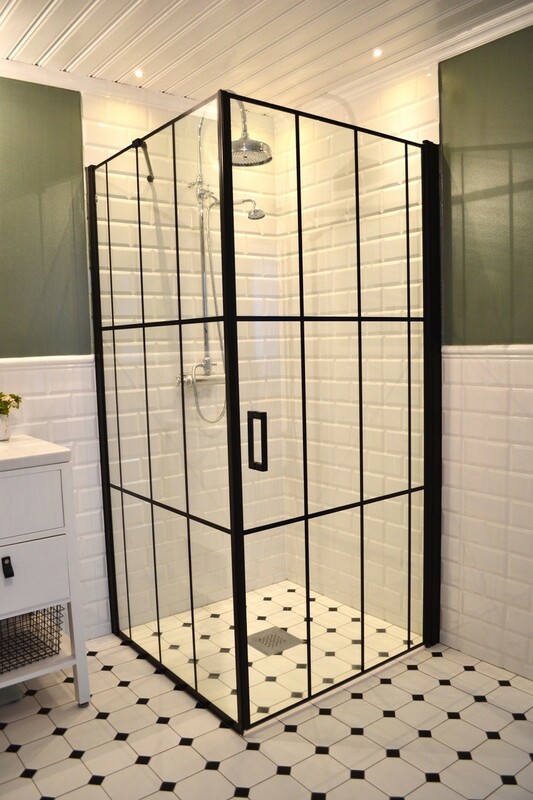 Outcome – a shower enclosure may turn into the main focus of the bathroom and it may serve reliably for more than one year. 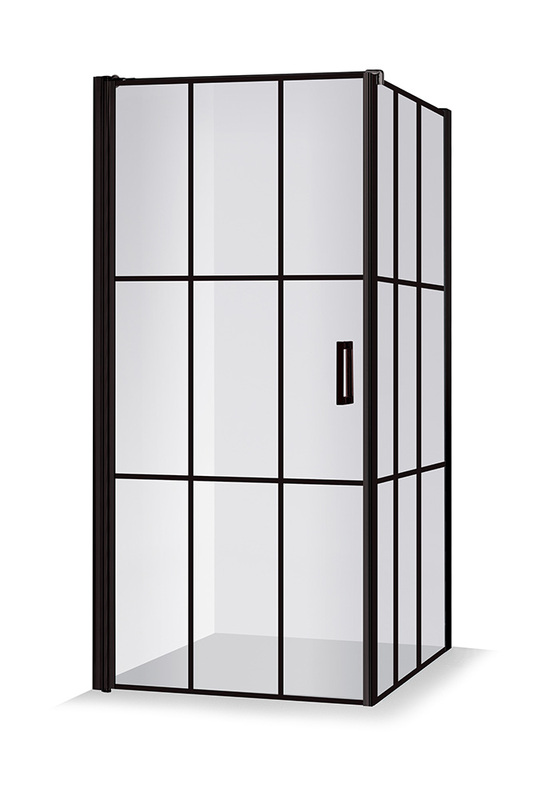 The internal side of the panels is covered with the cover FAST DROPS that reduces amount of varnish on the glass, which leads to simpler maintenance. 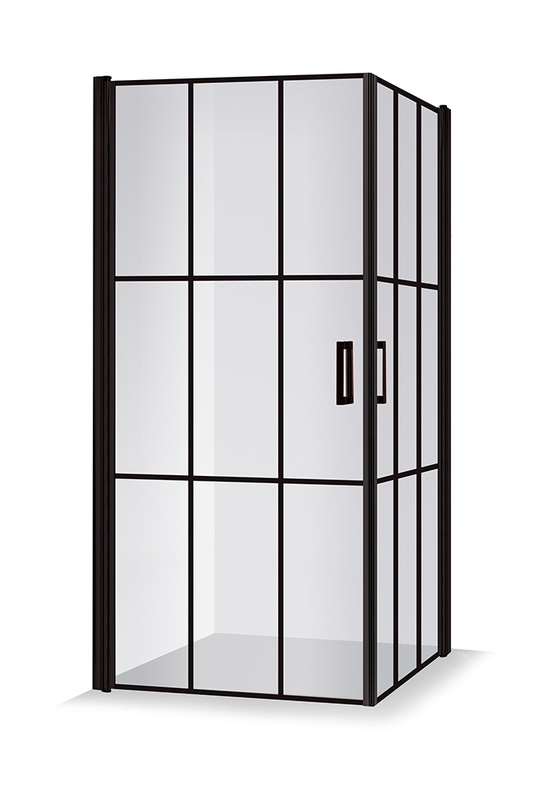 The edges and mid-lines of glass are decorated in black using silk-screen printing that is an especially reliable method proven by time. 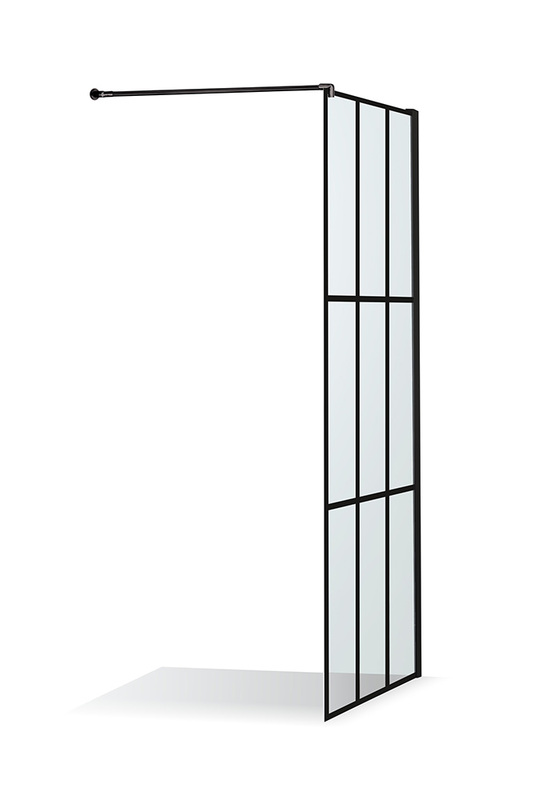 The paint is put before glass tempering, so it is absorbed during the tempering and is not rubbed with time. 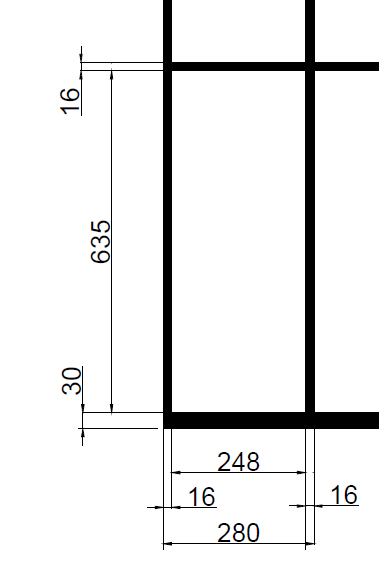 The thickness of black paint strips– 16mm. 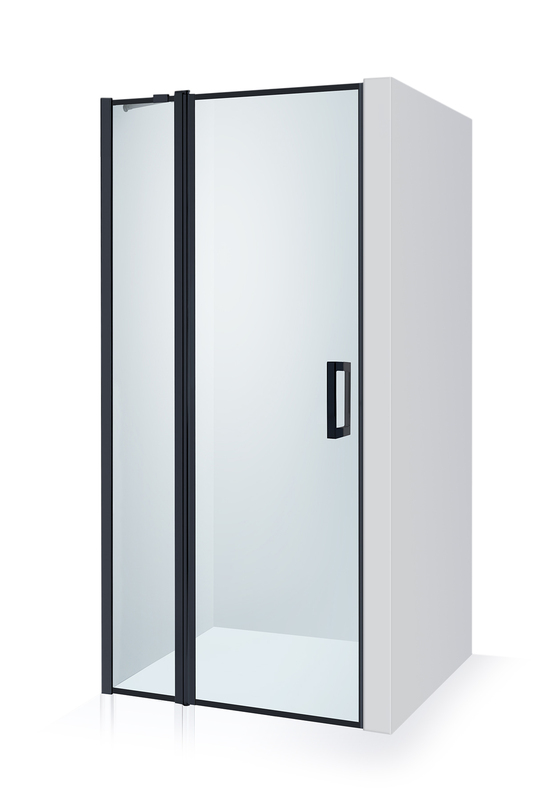 If compared to the product of standard glossy profile, the shower enclosure of the “Industrial Style” gets more expensive. 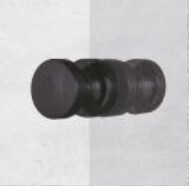 The standard two-hole knob from „Harmony „collection is proposed Knob bubble from „Akrobat" collection. 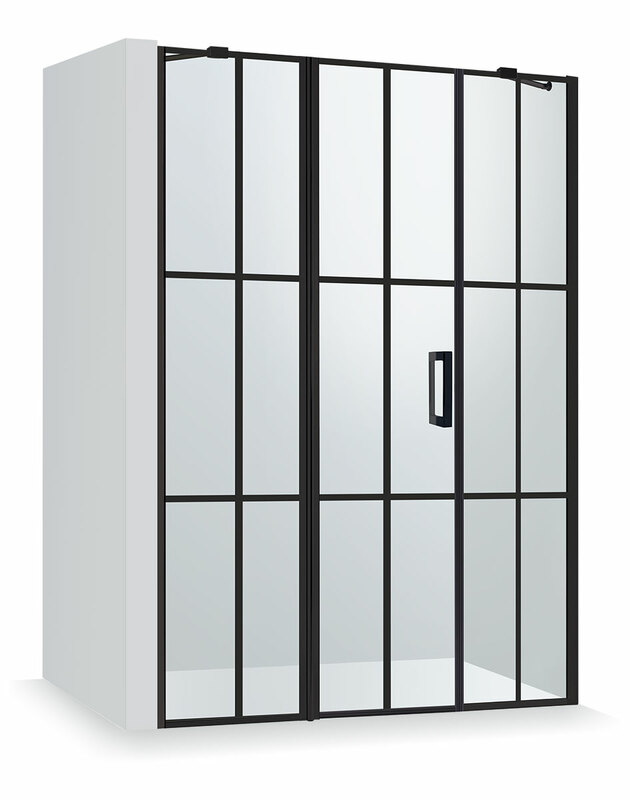 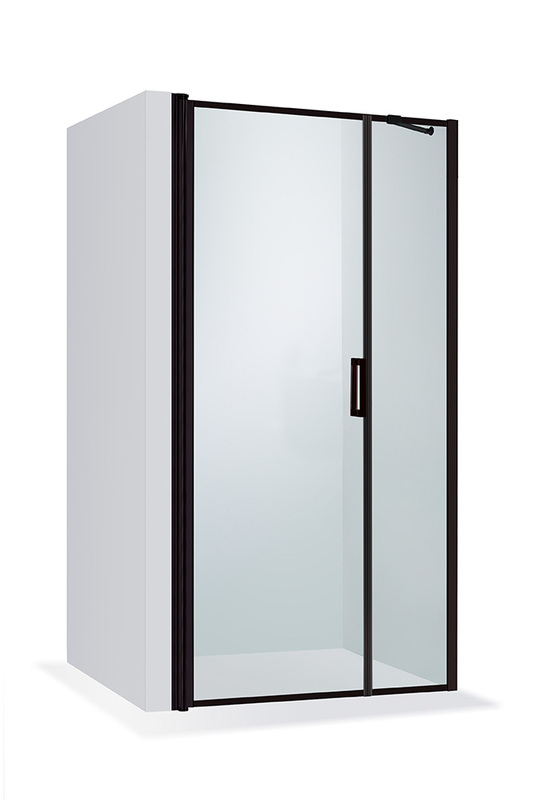 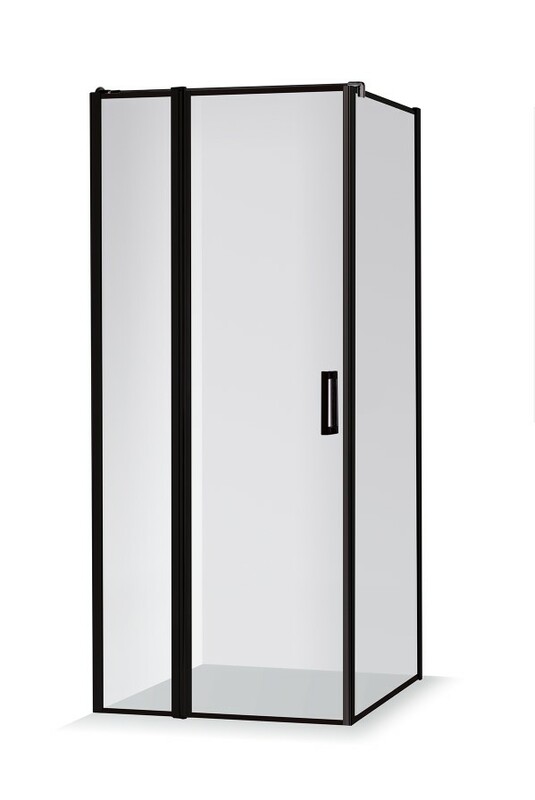 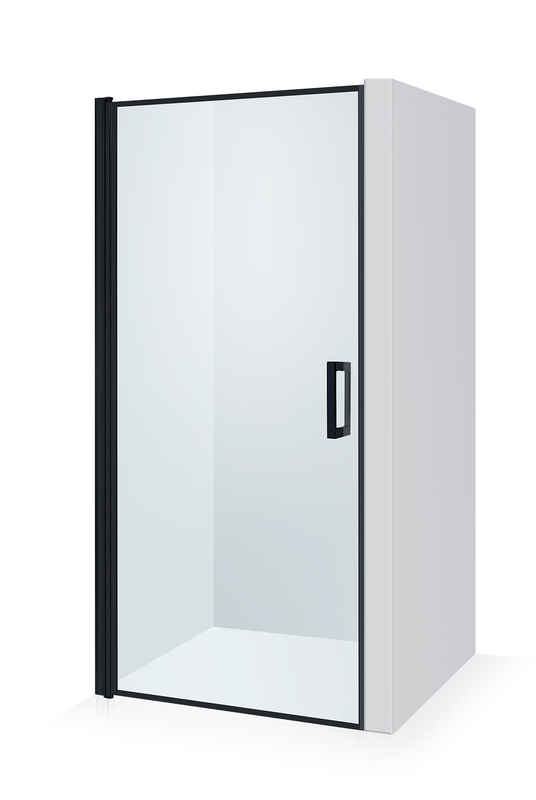 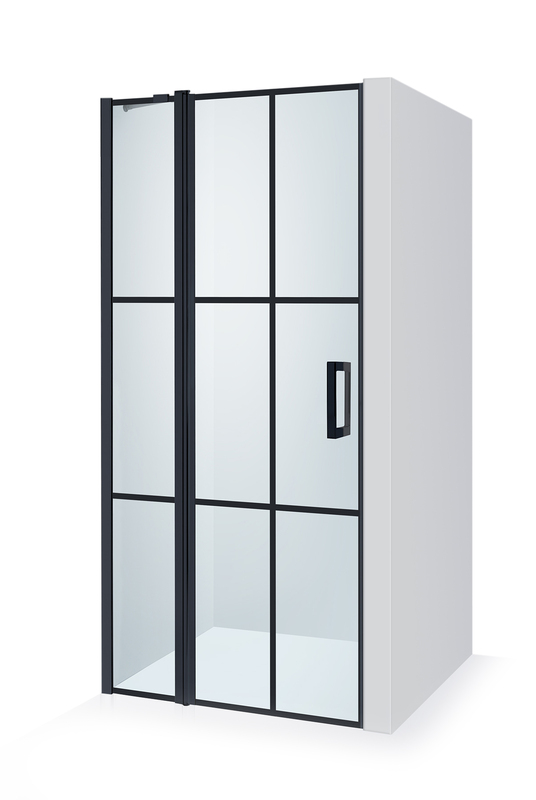 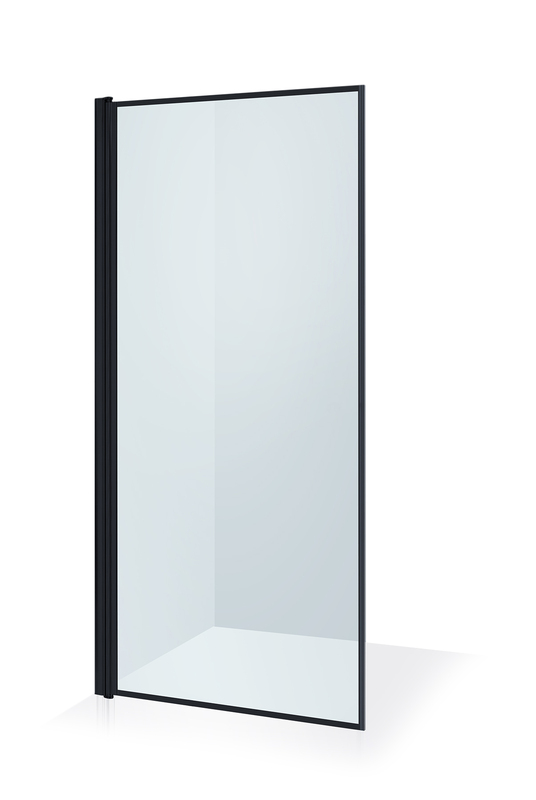 * You can choose any size NERO FRAME style shower enclosure from collection „Akrobat"